Iran's Foreign Minister Mohammad Javad Zarif has reminded the Europeans that a 2015 nuclear deal, known as the JCPOA, does not prohibit the country from enriching uranium. Zarif's reprimand in a Monday tweet came after French Ambassador to the US Gerard Araud said Tehran should not need to be "massively enriching uranium after the JCPOA." "Reminder to our E3 partners in #JCPOA: There is NO prohibition on the enrichment of uranium by Iran under #NPT, JCPOA or UNSCR 2231," Zarif tweeted, addressing France, Germany and Britain. 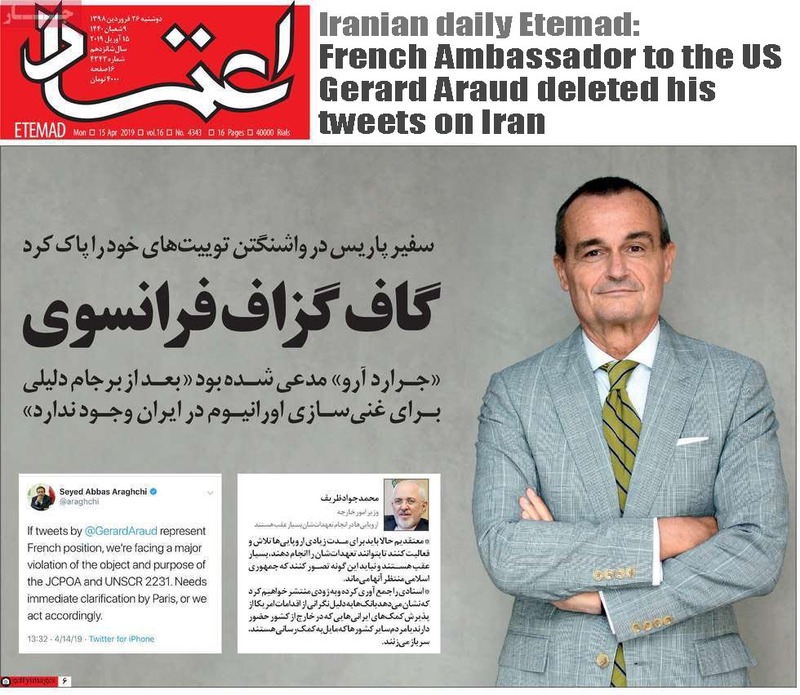 Araud tweeted Saturday that "sanctions could be reimposed" on Iran once the nuclear deal expires after 10 years, prompting the Islamic Republic to summon France's ambassador to Tehran. The EU trio also claimed that Iran's launch of a space vehicle and unveiling of two new ballistic missiles in February were inconsistent with UN Security Council Resolution 2231, which was adopted just after the signing of the 2015 nuclear agreement. Iran denies having any such program and the International Atomic Energy Agency (IAEA) has repeatedly confirmed the peaceful nature of Tehran's nuclear activities. In his Saturday tweet, deleted later, Araud said, "As we said in 2002 that enriching uranium without a credible civilian program was illegal under the NPT, we'll be able to react likewise in 2025 if necessary. Sanctions were imposed. Sanctions could be reimposed." Iran's Foreign Ministry called Araud's remarks "unacceptable" and in "open violation" of the nuclear deal. Iranian Deputy Foreign Minister Abbas Araqchi also warned France of adverse effects of Araud's remarks, saying such statements amount to blatant violation of the nuclear accord.